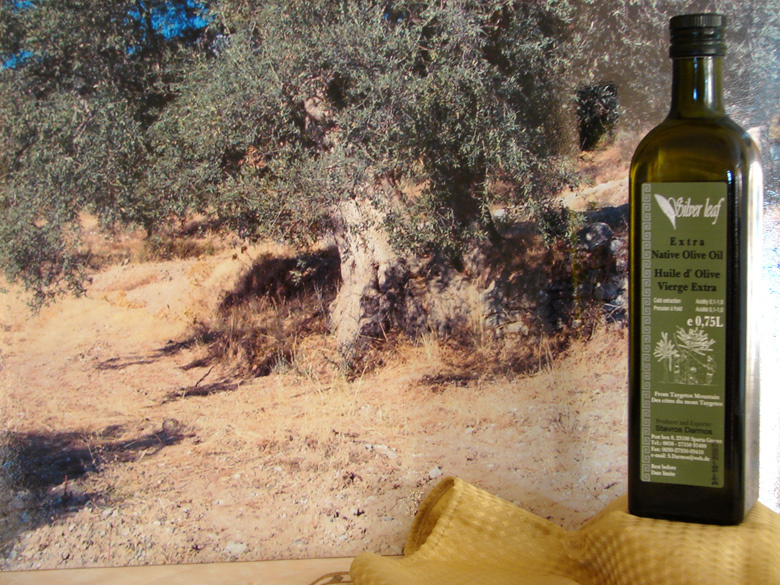 Our olive oil is First Pressed Cold Pressed. The oil presses are selected on a traditional basis, using millstones for crushing, and bags of thinly woven material for sitting. This avoids overheating the oil above28° C30° C Vitamins and essential oils are destroyed when the oil is heated above 40°. 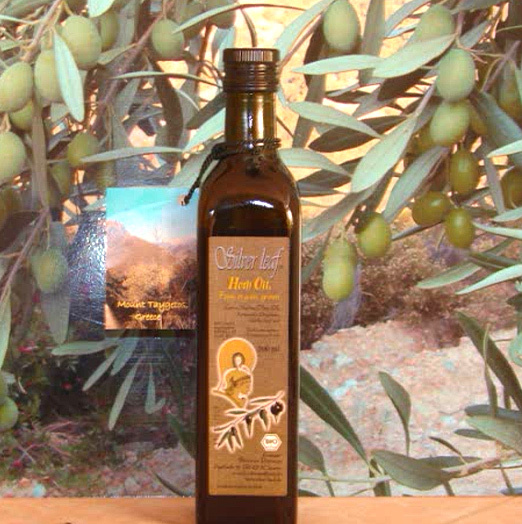 This "Extra Virgin Organic Olive Oil" has a very low average acidity of 0.5, which makes it rich in vitamins, essential oils that give the oil such a smooth taste and aroma. 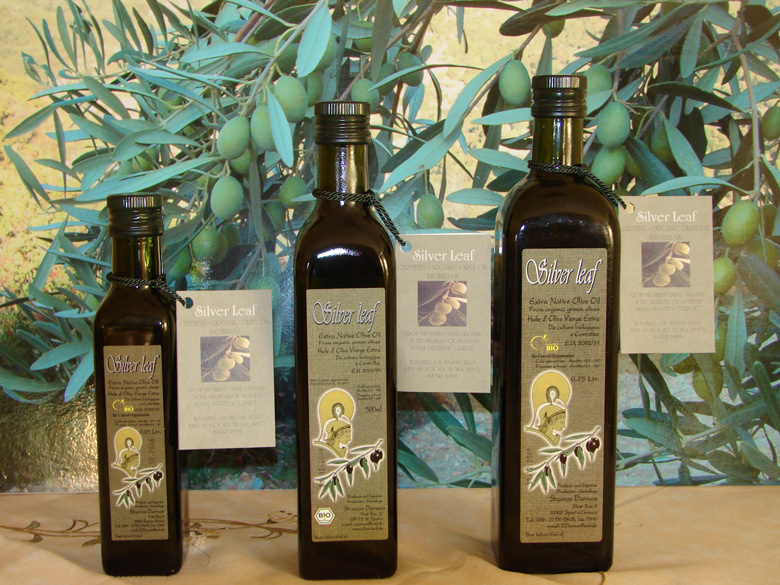 We are pleased to introduce to you our authentic “SILVER LEAF” Organic Herb Oil. In our organic Extra Virgin Olive Oil we have placed freshly picked organic herbs of Oregano, Bay Leaf, Rosemary and Garlic. These aromatic herbs give an exquisite flavour and pleasant aroma. Enrich the taste of your dishes with a splash of "SILVER LEAF" Organic Herb Oil. 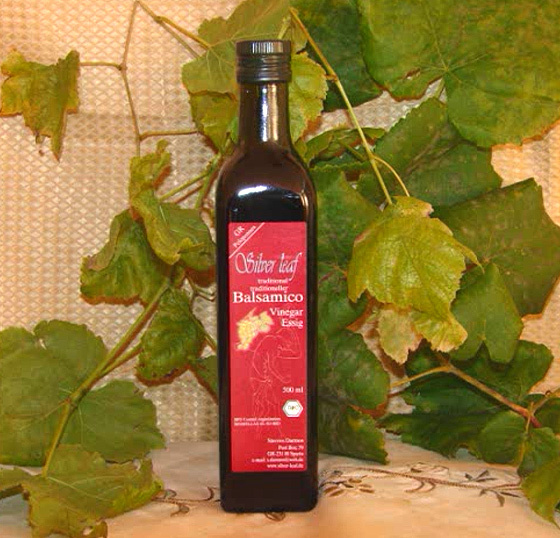 We introduce to you our authentic“SILVER LEAF” Organic Balsamic Vinegar. We use natural, traditional methods, and organic cultivation. It is unrefined and unprocessed with nothing artificial. Aged to perfection for unsurpassed authentic flavour that leaves the nutrition intact, with an exceptional rounded, little sweetish aftertaste.